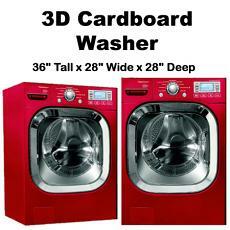 3D Cardboard Dryer - Dino Rentos Studios, INC. This cardboard dryer is in full 3D. It measures 36" tall x 28" wide x 28"deep. All details are printed on the cardboard. Door does not open. Comes complete as a kit. Assembles in 20-30 mins. Made of printed cardboard. 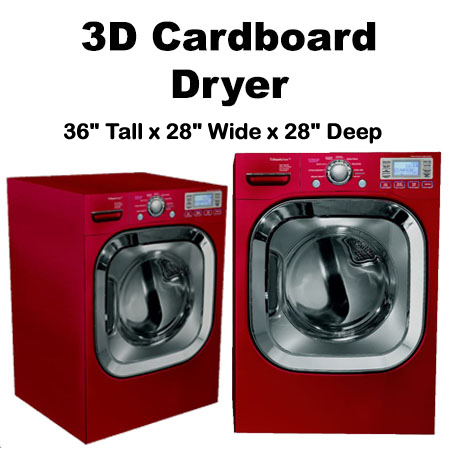 This dryer prop is perfect for stage, theater, and retail displays. Custom sizes available. Call for details.